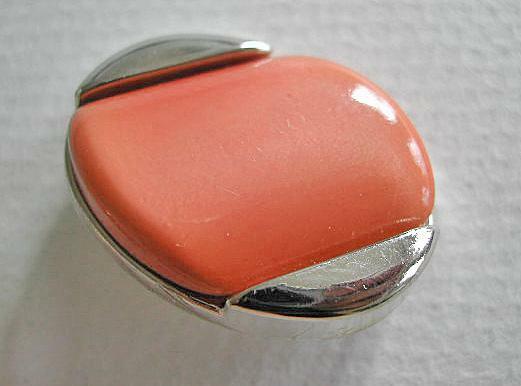 Description: Peach colored oval shaped button with silvery metalized plastic. The peach colored insert is diagonally shaped and a little domed. The material is very beautiful, a little pearly, not captured on the photo. The back metalized plastic with self shank.